This is Myki’s “headless mode”. It means drivers currently have no interaction with the Myki equipment. Tram and bus drivers can’t reset Myki equipment on the vehicle if it goes ga-ga. Which it sometimes does. Tram and bus Myki equipment has limited accuracy in knowing where it is, and where it’s going. Eventually the driver will enter information into the console about the route and direction being run, and this will be used in conjunction with the (apparently slightly dodgy) GPS to determine the current zone of the vehicle. It will also be used to determine the “default” (no touch-off) fare for buses, which is equal to the fare from where you boarded, to the end of the route. But for now, it’s just using the GPS, which sometimes leads to problems. Less directly, all the other issues around running both systems in parallel… including the added cost, the confusion (you often see occasional users waving their Metcards at the Myki readers), less Myki readers and vending machines because the “good spots” are currently taken by Metcard equipment, and the reliability issues of “Frankenbarrier” Metcard fare gates with bolted-on Myki readers. Obviously things will be a lot easier for Myki on trams and buses once Metcard is gone and “headless mode” is a thing of the past… though we’re yet to see solutions offered in lieu of short term tickets, and it’s unclear if/when they will really solve some of the other issues such as reliability, speed, and usability problems such as touch-on and touch-off returning the same identical beep. 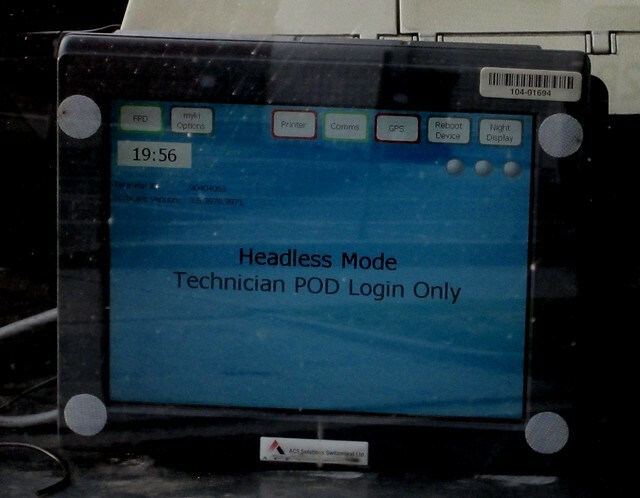 Update February 2012: It has since been confirmed that bus drivers will accept topups. Maybe “Brainless” would be an even better description. BTW, if you inadvertently use your Metcard or myki on NYE when public transport is free, Metlink warns that you will be charged the normal fare. I can understand why this would occur with Metcard but why can’t myki be centrally programmed to stop charges on the night? The same thing was said about Xmas day and NYE last year, however if you did touch on your myki, there was no charge. Last year even though they warned you not to use it, you weren’t charged if you used your myki. Though if that’s the case or not again this year, who can say. Getting off a bus within 1km of the Z1/2 boundary has meant that 80% of the time I’m overcharged. After weekly calls to Myki call centre for reimbursement, I’ve now got the TTA scanning my trips, and automatically re-imbursing me for this flaw. The other option suggested was to revert to Metcard. They agree that untill headless mode has gone, that there is no solution. @Alasdair, is that only a problem with touching-OFF, not on? If so, try just not touching-off. Theoretically, the default fare during the transition (eg while headless mode is there) is supposedly the fare for the zone you started in, so zone 1 would apply if you already had a zone 1 fare paid on your ticket.